If you are looking to move or require our transport services locally or internationally please contact us. British family run business of 20 years offering removal services and storage facilities. 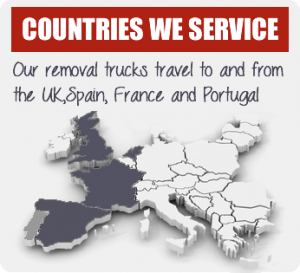 Based in Benissa on the Costa Blanca in Spain we are a British family run business of 20 years offering removal services and storage facilities. We pride ourselves on being professional and reliable whilst offering a personal door to door service for the most cost effective price. We aim to tailor every quote based on your personal needs. We do not subcontract any of our work or use agency workers, neither do we use bidding agents. We use our own staff and vehicles therefore ensuring that we know exactly where your goods are at all times. Everything is done by ourselves from taking the initial enquiry and giving a quotation, to undertaking the work – ensuring a personal service which is professional and reliable where we really understand our customers needs and requirements. We are very flexible and will work with our customers to ensure collection and delivery is a straightforward and simple process. 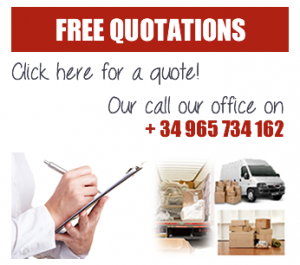 We can offer different levels of removal services depending on the packing required. We can co-ordinate every stage of your house removal so we will reduce the stress of moving so you can enjoy the process of moving to your new home. All our clients goods are fully insured. Our prices are competitive, a lot of our work comes from recommendation, and we have many satisfied return customers. Masterclass Removals based in the Costa Blanca Spain covering Spain, France and England for all types of removals. You can call this number at anytime.